JS Reiki School has locations in Melrose, Johannesburg and Gallo Manor, Sandton, South Africa. Reiki (rei-ki) is a Japanese technique for stress and relaxation that also promotes healing. 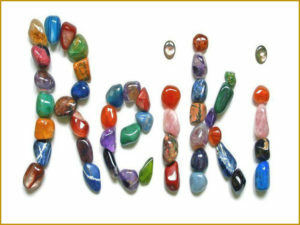 How does Reiki help you? The Reiki system of healing is a technique for transmitting the subtle energy to yourself and others through the hands into the human energy system, known as the chakra system. Reiki restores energy balance and vitality by relieving the emotional effects of unreleased stress and emotions so the physical can heal. Yes, the ability to learn Reiki is not constrained by any earth-bound limitations as it is a life force that exists in all living beings. As such Reiki is a pure form of healing which is activated fully by a Reiki master. Come and learn through the JS Reiki School and open up to the vibrational magic which is the Divine gift to all living beings. Jeanine is a gifted healer, qualified and internationally registered Lightarian ReikiTM Master, Karuna Reiki® Master, Independent Usui Reiki Master, Reiki practitioner, Reiki teacher and Munay Ki teacher. Shabs is a spiritual / business and life coach, a gifted intuitive, qualified and internationally registered Lightarian ReikiTM Master, Independent Usui Reiki Master, Karmic Reiki Master, Ho’oponopono coach and teacher, and Tapping EFT teacher. Jeanine and Shabs hold all the necessary accreditations and are registered with the Karuna and Lightarian International Reiki Institutes. © 2019 JS Reiki School.